No one but the SEO company understands how rapidly the world of search is changing. There are even some who are trying to say that SEO is dead and done. But this is simply not true. The most recent changes to Google have left many scratching their heads as to how SEO best practices will look in the future. We know the face of SEO is changing, but what can we expect in 2014? Perhaps we can answer this question by looking at some of the most recent Google updates. 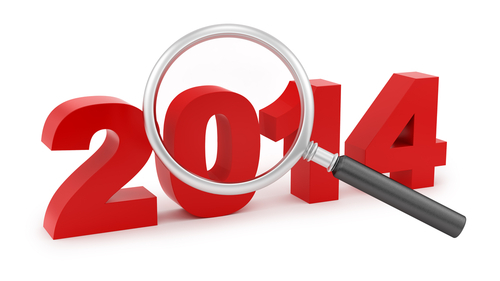 Here are some of the emerging SEO trends that we see for the coming year. Google Authorship allows individuals to link to their personal content. Google Authorship is visible as a photo image and a byline that will appear by your content when it appears on search result pages. This can be very strategic when it comes to SEO best practices and publishing your content on the web. Think of it as an “identity platform” or a digital signature on your published content. Authors who publish high quality content that generates quite a bit of traffic or social buzz will develop “Author Rank” which results in an overall boost for all the content that author creates. This may prove to be a significant part of branding as individuals or companies that continue to produce industry specific content will be building name awareness along with industry authority. It can also help to facilitate more engagement and interaction with an audience as users will be able to identify your content in search results. In 2014, Google Authorship and Author Rank will continue to be a growing trend as it will likely become a very important factor as Google gets better at defining which authors are most authoritative. These authors will likely be at the top of search results. By the middle of 2013 the stats indicated that about 61% of those who used mobile phones were using smart phones. Over the last couple of years there has also been a noticeable increase in the use of other mobile devices such as tablets. Late in 2013 we saw a rise in the use of a “responsive” web design which allows designers to develop one site for a client which will work equally as well on any internet capable device. This simplifies many things as it allows the use of one URL which contains all the company’s content rather than multiple URLs designed for various purposes. A responsive design adapts to the screen type of the device being used. A website with a responsive design automatically adjusts so that the content can be viewed on mobile devices. This year expect more designers and web site owners to make the transfer to the responsive design. The benefit for the SEO company is that it only has to deal with a single URL for each client. According to Google about 20% of all searches are location related. Most mobile phone users are searching for local information which really stresses the importance for small or local businesses to get themselves established online. Each month there are approximately 250,000 new listings claimed on Google. The SEO company should expect an increase in the local market as the demand for local search increases. It will become increasingly important to optimize profiles, add new images, provide local offers, update business information and keeping profiles fresh this year in order to produce better returns in the SERPs. Something to really keep our eye on for the coming year is how much more distributed search becomes. We have watched some of the social media giants like Facebook, Twitter and LinkedIn become increasingly more popular. As these platforms grow it is likely that search will also start to be more distributed. Facebook released Knowledge Graph which is like a mini-Google. It’s going to take Facebook some time to work out all the kinks, but it is likely that we will see searches become more evenly distributed. For instance, there will be some searches users are likely to choose Facebook for and for other searches they will prefer Google. This year, it is expected that Twitter is going to announce their arrival on the search scene as well. They offer a basic search already but if they can integrate a more in-depth search they stand to make more money through advertising. They are likely not going to want to miss out on that!